The Abuja Division of the Court of Appeal, on Monday, ordered the Independent National Electoral Commission, INEC, to conduct a re-run election for Anambra Central Senatorial District within 90 days. A three-member panel of the court headed by Justice Tinuade Akomolafe Wilson, gave the order while delivering judgment in a suit that was filed by the All Progressives Grand Alliance, APGA, and its candidate, Chief Victor Umeh. Umeh and his party filed the appeal to challenge the February 29 verdict of the Federal High Court in Abuja, which ordered the inclusion of Peoples Democratic Party and its candidate, Senator Uche Ekwenife in the Anambra Central Senatorial re-run poll. It will be recalled that Anambra Central Senatorial seat has remained vacant since Ekwunife’s election was nullified. The Anambra State Election Petition Tribunal and the Court of Appeal sitting in Awka had in their concurrent judgments, nullified the election that produced Ekwunife as Senator for the district in 2015, on the premise that she was not validly nominated. Both the tribunal and the appellate court directed INEC to conduct fresh re-run election in the district. Dissatisfied with the verdicts, Ekwunife who was formerly a member of APGA before she defected to the Peoples Democratic Party, PDP, took the case to the Supreme Court for redress. 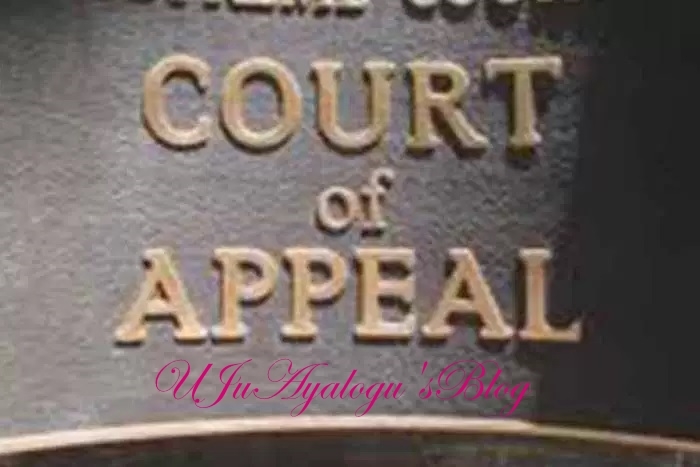 In a verdict on February 10, the apex court struck out Ekwunife’s appeal. In an unanimous judgment, a five-man panel of Justices of the apex court led by Justice Tanko Mohammed, also gave INEC, the nod to conduct a re-run election for the Senatorial district. However, INEC anchored delay in conduct of the poll on other pending litigations involving the parties, one of which was disposed-off by the appellate court on Monday. Delivering the lead verdict on Umeh and APGA’s appeal against Ekwunife’s inclusion as candidate of the PDP, Justice Akomolafe held: “Where a court nullifies an election and orders a fresh election, a political party which participated in the annulled election at whose instance the election was nullified cannot field a new candidate to contest in the fresh election. The judge said it was unfortunate that the trial judge fell into a grave error by predicating her judgment on the ground that Ekwenife defected from the PDP. “On the whole, having resolved the main issue in this appeal in favour of the appellant, this appeal is meritorious and it is allowed. The decision of the trial Federal High Court delivered on 29 February, 2016, is hereby set aside. Independent National Electoral Commission (INEC) (2nd respondent, is ordered to conduct a fresh election in Anambra Senatorial District within 90 days from today with the participation of the appellants (Chief Victor Umeh and APGA). “The 1st, 3rd, 4th and 5th respondents shall pay the sum of N50, 000 each to the appellants,” the appellate court held.